MADISON – Rep. Amy Loudenbeck (R-Clinton) was honored this week by the Wisconsin Libraries Association (WLA) as one of their Library Champions. “Leaders often refer to public libraries as the cornerstones of democracy,” said Nick Dimassis, Director of the Beloit Public Library. “Representative Loudenbeck doesn’t just believe it, she lives it. “From her well-known “Blue Book Blitz” to foster civic knowledge and encourage citizen participation, to group and one-to-one meetings with constituents, and her active participation in early literacy programs like Bookquest, she has made herself accessible to those she represents through her local public libraries. “We thank Representative Loudenbeck for providing strong support for library funding in the most recent budget bill. She has also volunteered valuable assistance to the WLA “Legislators and Libraries Transform” poster project. Thank you for being a Library Champion,” said WLA Executive Director Plumer Lovelace during the 125th Wisconsin Libraries Association celebration. The Wisconsin Library Association is a professional organization whose membership includes nearly 1,500 librarians, library workers, public library trustees, friends of libraries and business vendors supporting academic, public, school and special libraries. 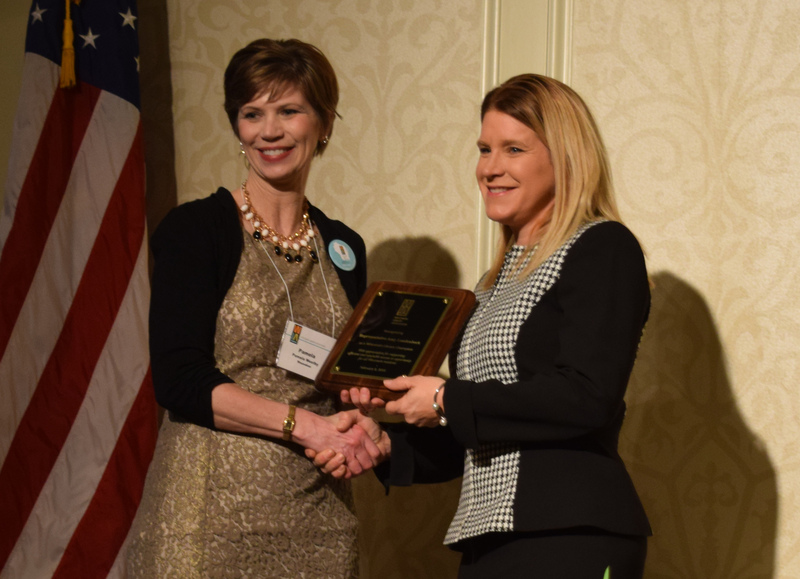 Rep. Amy Loudenbeck (R-Clinton) was honored this week by the Wisconsin Libraries Association (WLA) as one of their Library Champions.